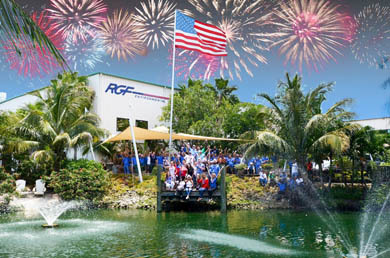 RGF®'s revenue peaked in 2017 with an impressive 38.7% increase over the previous year. 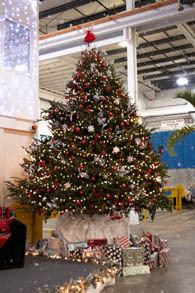 After record-breaking Christmas bonuses had already been given out in December, we received an additional $1000 "New Year's Bonus" for every employee due to the Trump Administration’s tax reform act, as part of our RGF® “Share the Wealth” program. 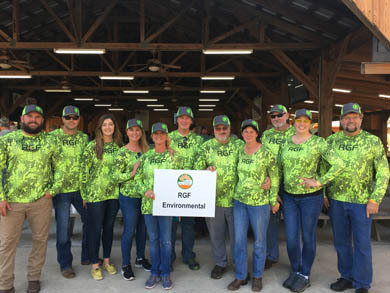 We challenge you to find a more entertaining, more engaging, more thrilling and more educational work environment than RGF®! 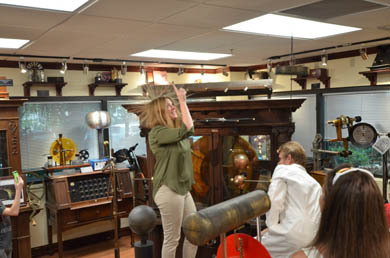 Our kids had a blast learning about the items in our electro-mechanical museum (it was a hair raising experience). 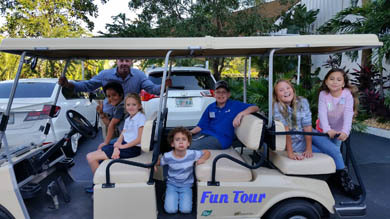 They talked to our macaws, fed the pheasants, peacocks and koi fish, and toured the 7.5 acre compound on a golf cart. They even got to get up close and personal with the Germinator! 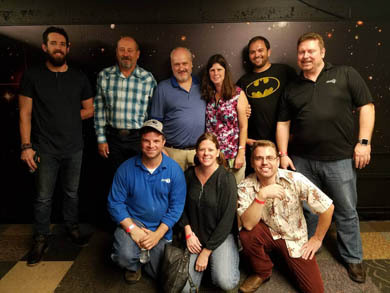 The RGF® Team attended SFSCA's Nerd Night for some team building fun. They successfully solved the escape room challenge and 'saved' the world from the worst virus known to nerds! 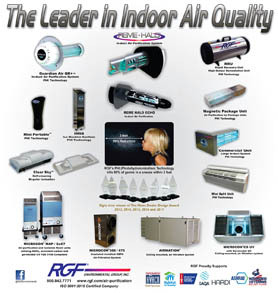 RGF®'s operation IM4IAQ was a huge success both at and around the show. 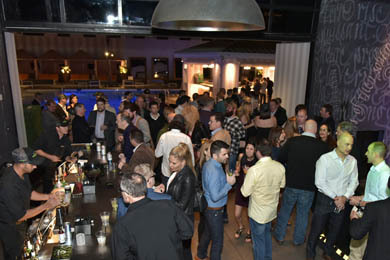 At our annual sales rep awards night, and key customer meetings, cocktails gave way to lobster tails as enduring partnerships were made. 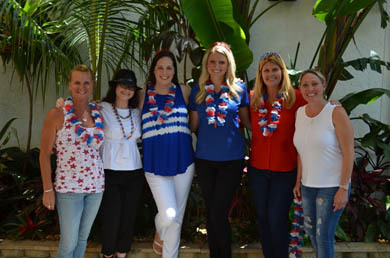 Congratulations to The Pollex Group for achieving Rep of the Year! 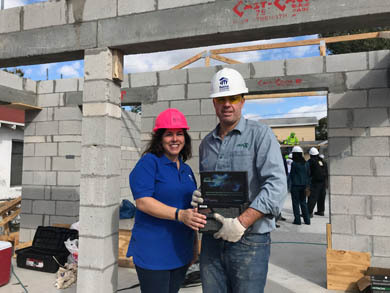 As part of our ongoing support for Habitat for Humanity of Palm Beach County, RGF®’s VP of Business Development, Tony Julian, attended a Groundbreaking Ceremony in West Palm Beach. RGF® donated 3 RGFClearSky MS units to this build. While he was there, Tony also donned a hard hat and spent the morning improving his hammer swinging skills! RGF® received confirmation from Trane/Ingersoll Rand that we would receive Gold Global Status. This is as high as you can achieve, and we are optimistic that it will open up huge global markets to us. 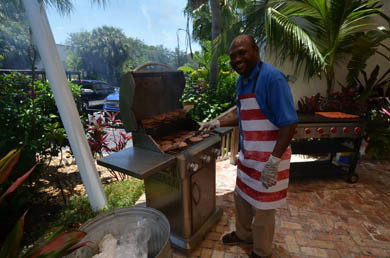 A special thanks to Walter Ellis, RGF®’s Executive Vice President, and Milton Dean for an outstanding job! 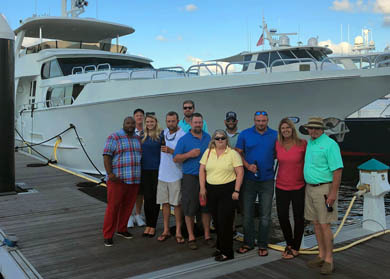 Mingledorff’s 2018 Dealer Meeting took place in beautiful, historic Savannah, GA. 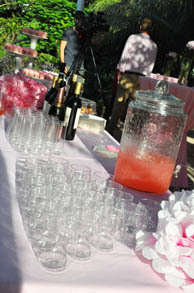 The theme of the event was “Concentrate. Elevate. 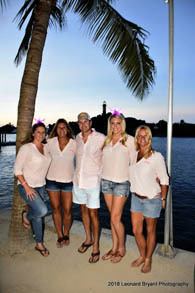 Dominate.”, and dynamic duo Sean Wahl and Trish Alfele were on hand to do just that! 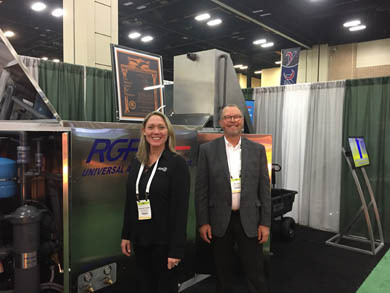 Heather Polzer and Bill Svec attended the Golf Industry Show to showcase RGF®’s industry leading wash water recycling systems. 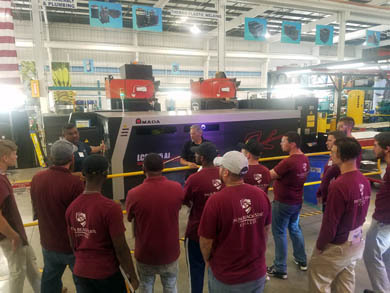 The York team from Johnson Controls was onsite at RGF for some product education and fun. 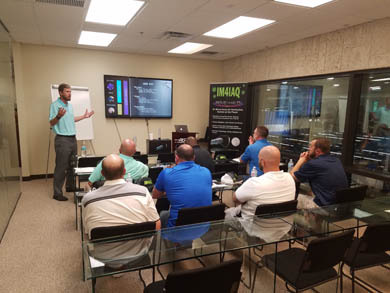 Sean Wahl with Pro-Dev gave a fantastic presentation of our most popular IAQ products and the team toured the plant and enjoyed a catered lunch in RGF's Envisionland. 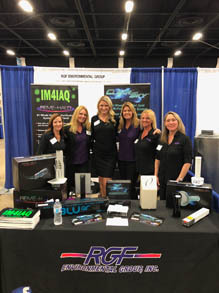 The ladies of RGF® had a great time showcasing our products and speaking with local HVAC contractors at the 28th annual PBACCA Air Show. 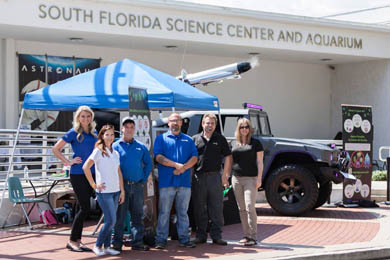 We had so much fun at South Florida Science Center and Aquarium's Engineer It event! Over 400 budding scientists and their families came out to compete and learn. 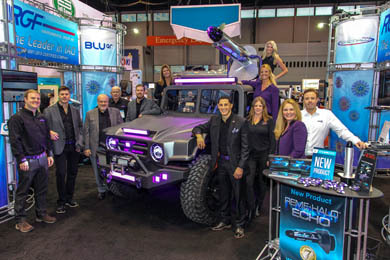 RGF®'s newest innovation, the Germinator got lots of attention as well! 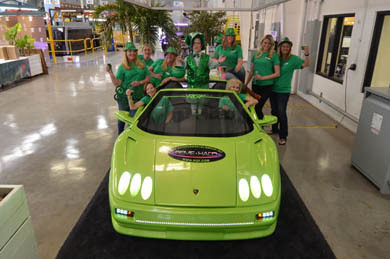 St. Paddy's Day eve was great fun in RGF®'s plant! 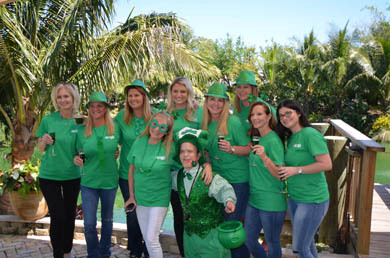 We served traditional corned beef and cabbage, wore green shirts, and even got a visit from a leprechaun! What more could you ask for? 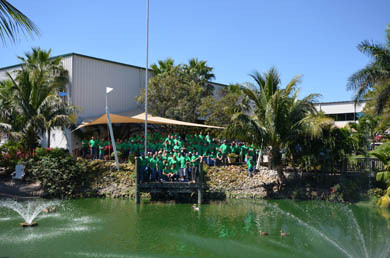 Note the green water in Envisionland’s lake! 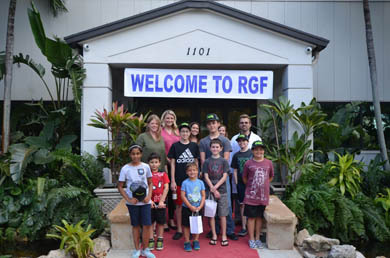 We had so much fun hosting our young friends here at RGF headquarters for the first-ever IAQ Children's Workshop! 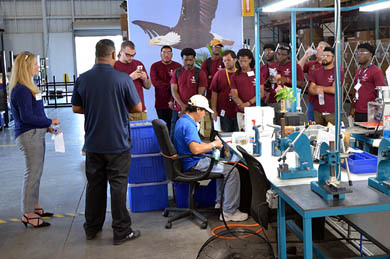 The kids got a behind-the-scenes peek into how our REME HALO is made, and all of the research and development that goes on here at RGF®. 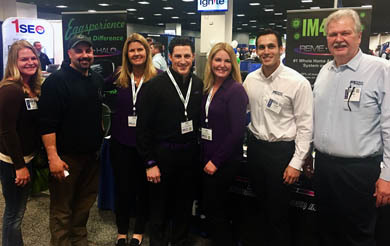 The RGF® Air Division team recently attended the Peirce Phelps dealer meeting in King of Prussia, PA. 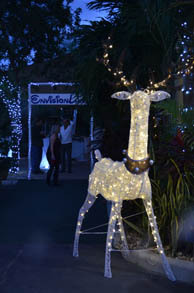 The event's theme was Succeeding by Helping Our Customers Succeed. 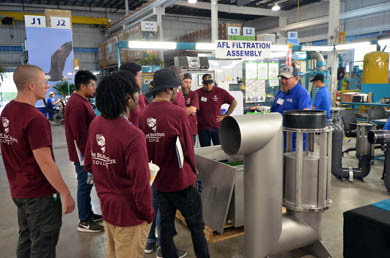 Over 300 HVAC contractors and technicians were in attendance, so our group had plenty of opportunities to show off our amazing IAQ products. Some even walked away with FREE products! 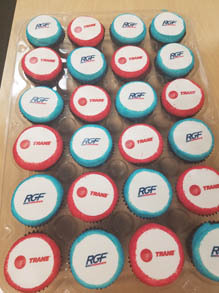 We enjoyed hosting our friends from TRANE for some RGF® product training, delicious cupcakes, and a tour of our 106,000 sq ft facility. 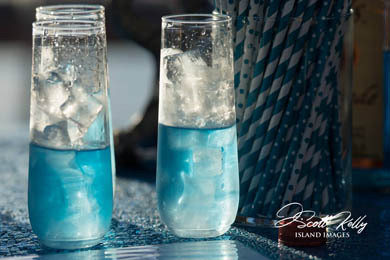 The day ended with a sunset cocktail hour aboard Envision, RGF’s enviro-friendly mega yacht. Thank you to Sean Wahl from Pro-Dev for conducting the training. This is how RGF® does pizza! 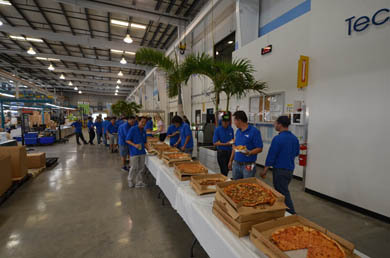 In recognition of everyone's hard work, which led to record first quarter sales of the REME HALO, RGF celebrated with a pizza lunch for the entire company. 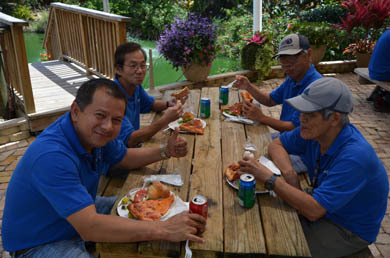 Employees came together to relax, devour the delicious food and enjoy each other's company. 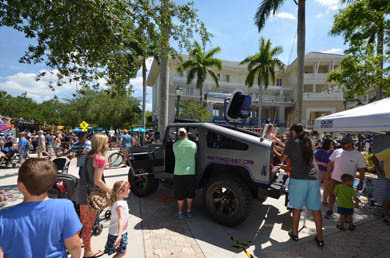 Our GERMINATOR got quite a bit of attention at "Touch-a-Truck", hosted by the town of Jupiter. 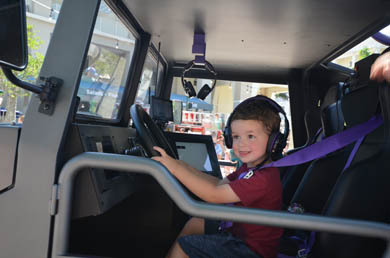 This family-friendly event allows children and their parents an opportunity to see, touch, and learn about a wide variety of vehicles. 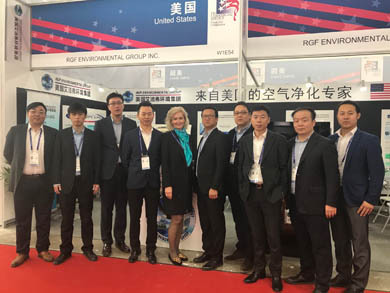 Sharon Rinehimer, RGF®’s Executive Vice President, exhibited at the CRH trade show in Beijing. 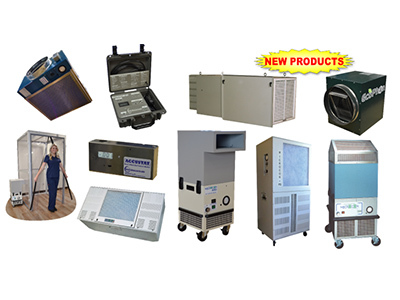 The exhibition is for refrigeration, air conditioning, heating, ventilation, food processing, packing, and storage. While there, she visited RGF®’s representative office for sales and marketing in Beijing. RGF®’s newly developed HE Vertical Coalescing Delta-Tube™ design is a high efficiency product that significantly reduces the amount of tubes needed to meet code requirements, thereby drastically reducing the size, as well as the overall cost of the system and replacement tubes. 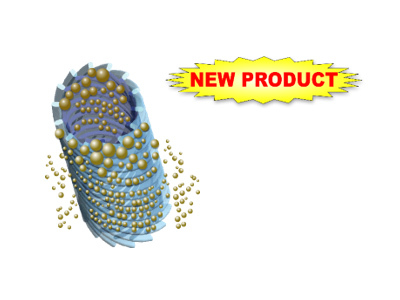 The new RGF® HE Delta-Tube™ is a win-win for all! RGF®'s "Share the Wealth" bonus program and surrounding press caught the attention of President Trump! 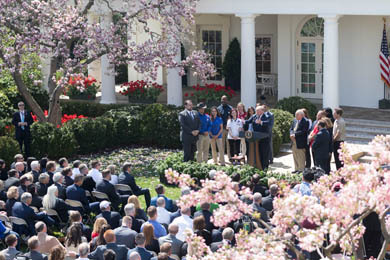 CEO Ron Fink and a team of employees received a special invitation to attend an event in the Rose Garden at the White House. RGF® is committed to immigration, bringing a South African (Gareth), a Canadian (Angela), and a German (Astrid) to the White House! Pictured: Robin Broderick, Ron Fink, Astrid von Oetinger, Angela Solland, and Gareth Hull. 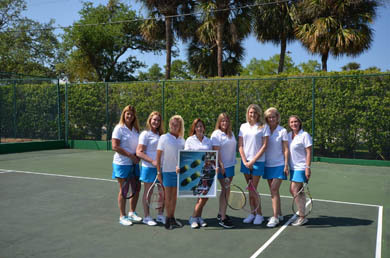 The RGF® tennis team was warming up for next year's LEGENDS competition. 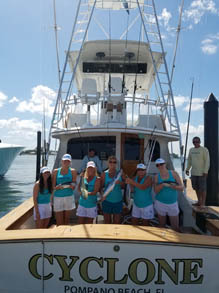 This year at Camana Bay in Grand Cayman, one of the RGF® ladies actually scored a point against tennis legend Jimmy Connors and received a standing ovation! 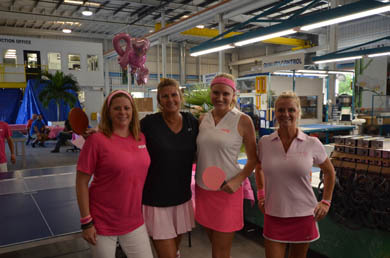 RGF® is proud to be a gold sponsor of Women in HVACR. 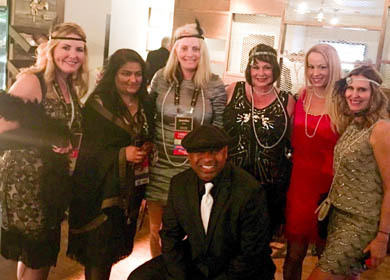 RGF®'s National Sales Manager Lisa Bailey attended their Roaring 20's Night at the Blue Hawk Conference in Chicago. 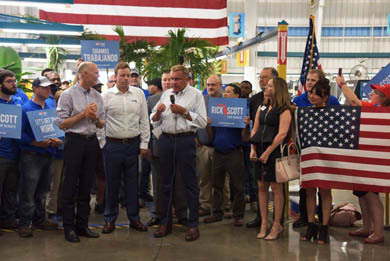 Governor Rick Scott visited RGF® once again, this time as a candidate for the US Senate. 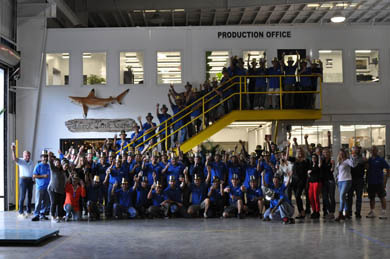 He spoke to guests and RGF employees about his plans to "Make Washington Work" and heard CEO/President Ron Fink speak about RGF®'s growth and plans to "make America even greater again". 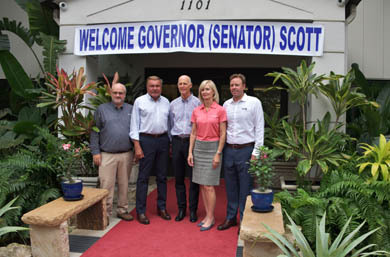 Pictured below: Walter Ellis, Ron Fink, Rick Scott, Sharon Rinehimer, and Tony Julian. 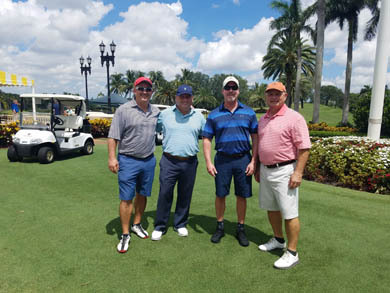 Our first round of golf at Trump International to benefit the Law Enforcement Assistance Fund (LEAF) was rained out, but the next week the weather cooperated, and our foursome had a great time on the luxurious, private course. 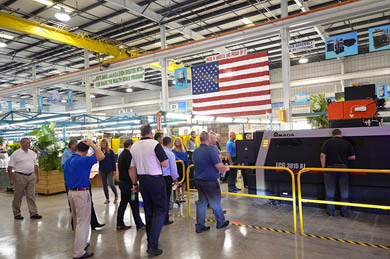 The National Association of Manufacturers (NAM) recognized RGF® for our continued growth and impact on manufacturing, showcasing how we have benefited from business-friendly tax policies. 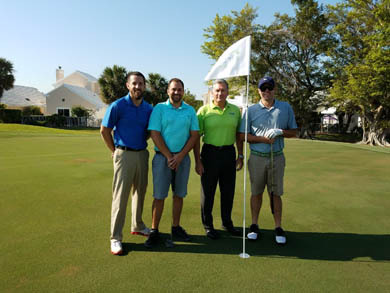 The South Florida Air Conditioning Contractors Association (SFACA) annual golf tournament was a big success with RGF® as the title sponsor. 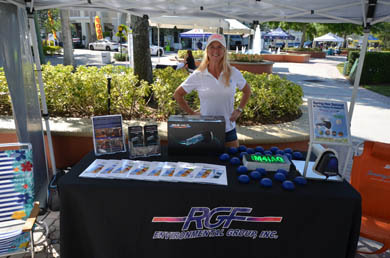 Everyone had a blast at the RGF® “Best Shot” Tent! 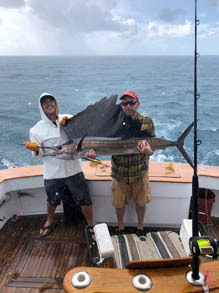 RGF® even brought home the 1st place trophy thanks to our Pro-Dev Rep Sean Wahl and his teammates from Grimes AC; Robert Allen, Kalib Guettler, and Mike O’Connor. 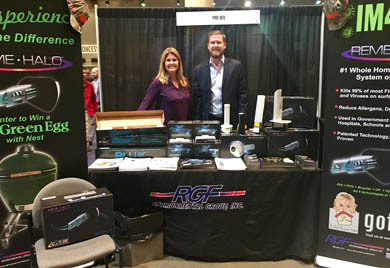 Bill Svec and Heather Polzer have been busy touting RGF®'s food sanitation and IAQ solutions to restaurateurs and other food industry insiders at the National Restaurant Association (NRA) Conference in Chicago. We were honored to be included in USA Today's 'Office Health and Safety' feature highlighting the importance of indoor air quality in the workplace. This special edition was distributed nationally to 750,000 subscribers and more than 3 million digital customers. 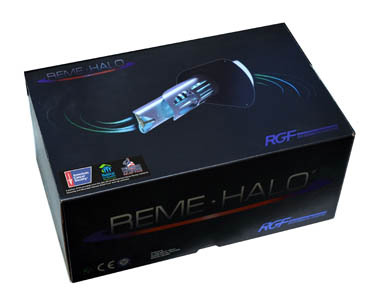 Under RGF®’s ‘Halos’ charitable initiative, American Cancer Society, Habitat for Humanity, and Wounded Veterans Relief Fund will all be receiving a portion of sales this year from RGF®'s most popular indoor air quality products. 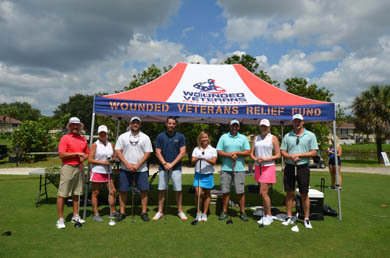 RGF® was proud to sponsor the Sam Spurlock Golf Tournament, which raised funds to benefit the Wounded Veterans Relief Fund and the American Cancer Society. 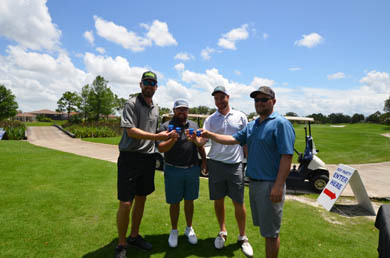 Robin Broderick, Bill Breecher, Mike Van Haaster, Angela Solland, Ryan Murphy, Bobby Dziewiatkowski, Gareth Hull, and Alex Dinh brought the RGF GERMINATOR and enjoyed playing 18 holes on a gorgeous afternoon. Alex Dinh scored closest to the pin with the WVRF ball launcher! 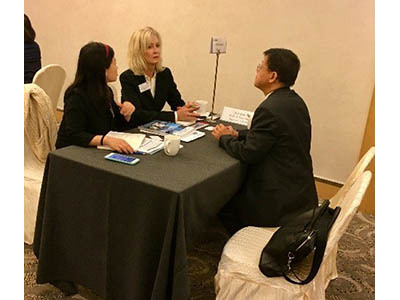 Sharon Rinehimer, RGF®'s Executive Vice President and Linda Lui, RGF®'s General Manager for RGF®'s China Division recently took part in an Enterprise Florida/U.S. Dept. 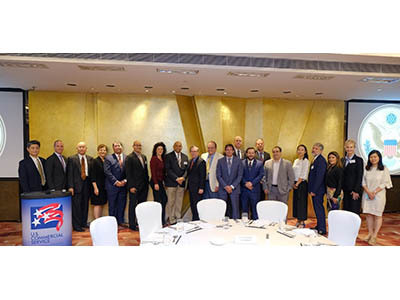 of Commerce Export Trade Mission to Hong Kong and Guangzhou, China. 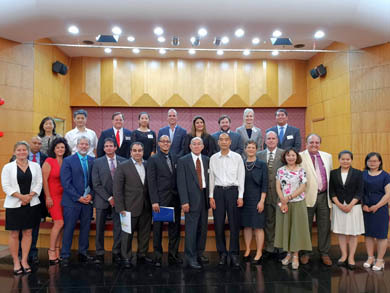 While there, the RGF Team was able to meet with potential distribution partners to expand our air purification, water treatment and food sanitation product offerings in the southern China region. The team also met with Curt W. Tong, the U.S. Counsel General for Hong Kong, Jim Cunningham, Chief Commercial Consul U.S. Consulate General and Geoffrey Parish, the Deputy Chief Commercial Consul. 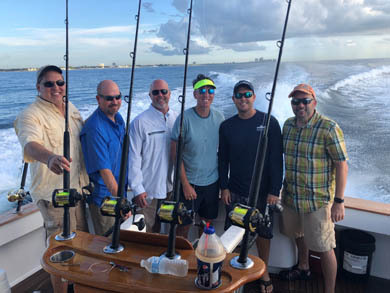 RGF® and Sansone Air Conditioning teamed up to compete in the Palm Beach Air Conditioning Contractors Association (PBACCA) “High-E-Fishin-Sea-XXVII” annual fishing tournament. 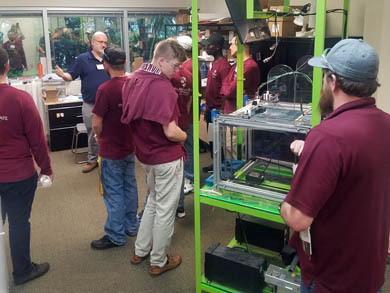 Proceeds from this event go toward the Maury Jacobson Scholarship Fund for Palm Beach County students interested in pursuing a career in HVAC/R. 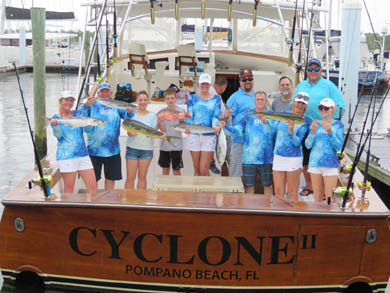 Shevonne, Christina, Robert, Angela, Eric, and Lisa caught 8 fish with the help from Captain Scott and his crew! 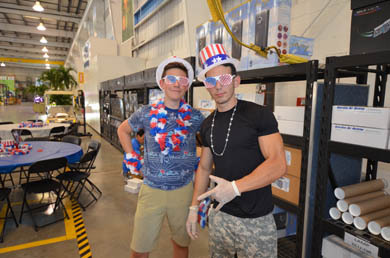 RGF® employees were treated to an All-American barbecue, complete with fireworks, beer, and games! 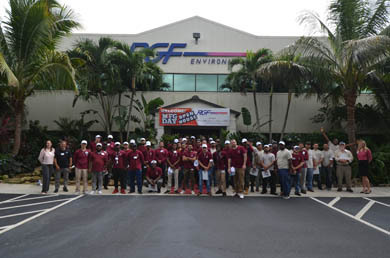 We are highly diverse with over 21 nations represented at RGF®! 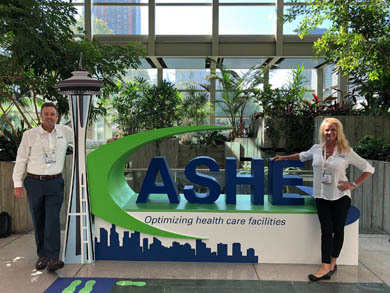 Tony Julian and Robin Broderick attended the ASHE Annual Conference where they showcased our line of 510k FDA Compliant systems for the best air treatment in the healthcare industry. 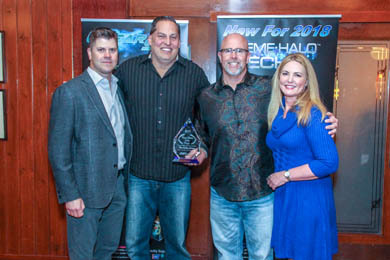 We were recognized once again for excellence in product design in the 15th annual Dealer Design Awards sponsored by The ACHR NEWS! 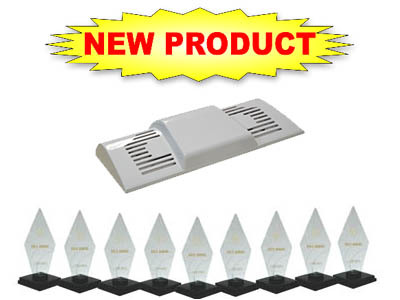 The company’s patent pending RGFClear Sky MS, a continuous, self-cleaning ion generator for mini-split HVAC units, was awarded the Silver Dealer Design Award for Innovative IAQ Technology. 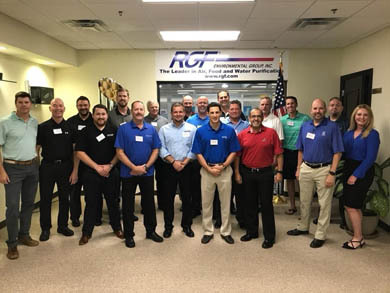 RGF® hosted our Sales Representatives from across the country for the annual meeting at our headquarters in Florida. 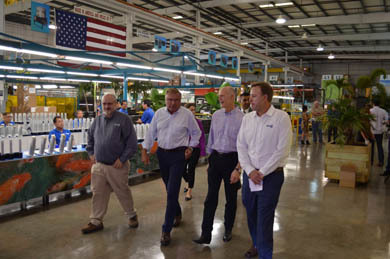 The Reps toured RGF's 7.5 acre compound, which includes 106,000 square feet of manufacturing, warehouse and office facilities, our Electro Mechanical Museum, and Envisionland! 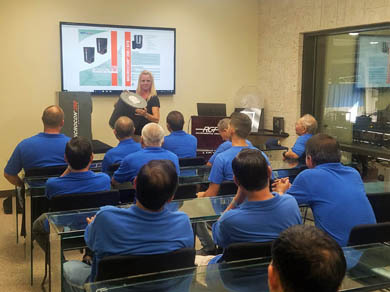 The annual meeting consisted of new product training, upcoming campaigns, and even a sneak peek at some top secret projects! After the meeting, it was time to have some fun! 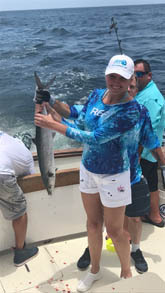 The Reps got to partake in golfing and fishing events. 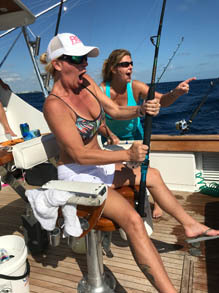 They had a successful day on the water and even caught a sailfish! 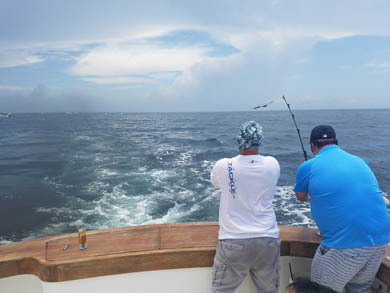 Team RGF® had a fantastic time participating in Bamboozle! 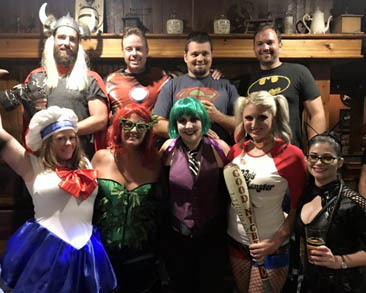 Teams dressed up as heroes and villains and were given a list of clues, tasks, challenges and obstacles to complete along Clematis Street. 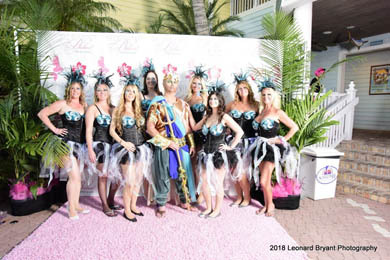 Proceeds from Bamboozle benefit Little Smiles of Florida, an organization that grants special wishes and sponsors fun activities for children in hospitals, group homes, hospices and shelters. 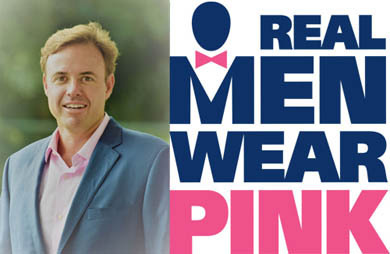 RGF®’s VP of Business Development, Tony Julian, participated in the American Cancer Society's Real Men Wear Pink of Palm Beach campaign. 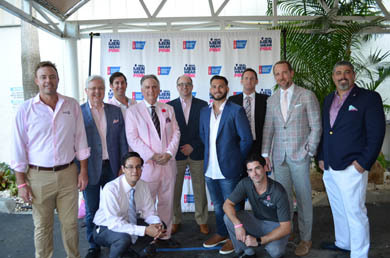 He joined other community leaders across the nation in using the power of pink to raise awareness and money for the American Cancer Society's breast cancer initiatives, including innovative research, patient services, and education around screenings and risk reduction. 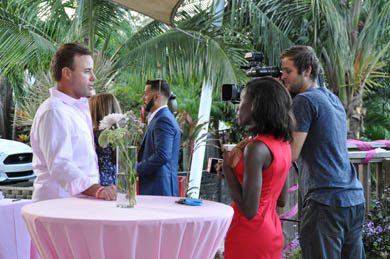 The Real Men Wear Pink of Palm Beach Reveal Party was hosted by RGF in Envisionland! 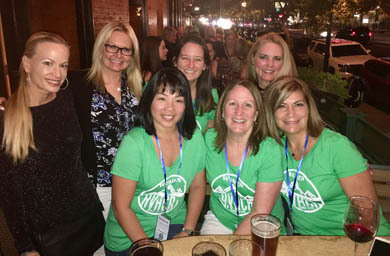 RGF®’s HVAC Sales Manager, Lisa Bailey, joined other women leaders at the Women in HVACR 15th Annual Conference in Denver, Colorado. 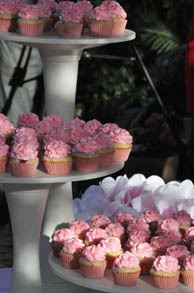 This year's theme was "Defying Gravity", with speakers focusing on innovation and navigating a male-dominated industry. 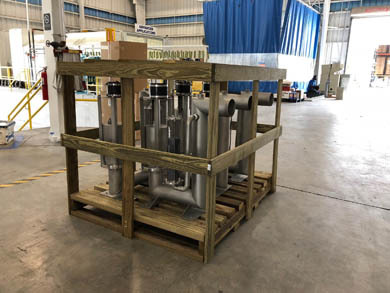 AFL Industries, a division of RGF Environmental Group, is shipping this VTC-1000 oil water separator to Shell Oil Products in Rhode Island. 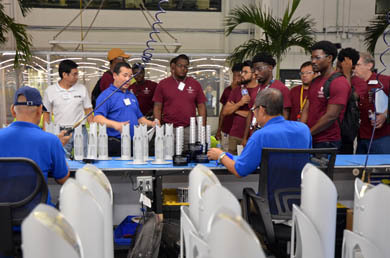 Through an initiative created by the National Association of Manufacturers, we opened our doors to celebrate manufacturing and inspire the next generation of manufacturers! 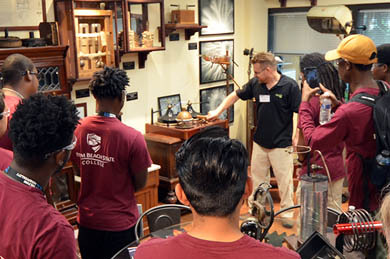 Thank you Palm Beach State College for teaming up with us for wonderful event! 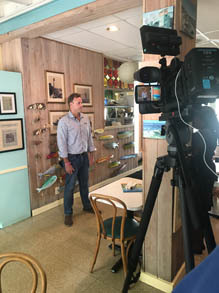 RGF®'s combination of the Microcon 350 HEPA Filtration System and the REME HALO In-duct Air Purification System helped local businesses, such as Lazy Loggerhead, alleviate the symptoms of Red Tide in South Florida. 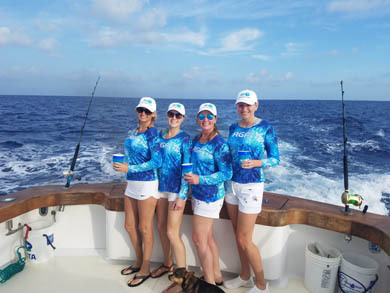 Team RGF® and Sansone Air Conditioning joined forces for the 10th annual Bluewater Babes Fish For A Cure. 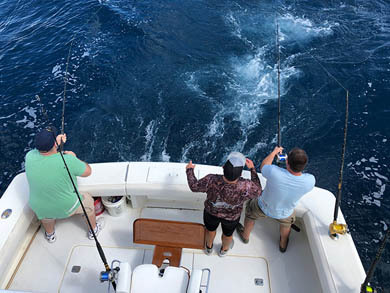 The annual fishing tournament, along with other events, helps local women suffering from either breast or ovarian cancer. 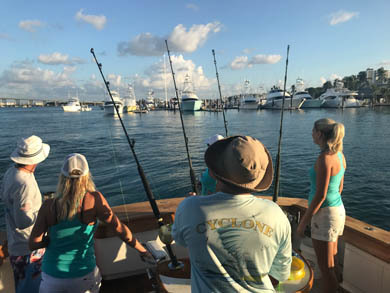 Captain Scott and Jerry brought their 68' Buddy Davis, Cylcone for a weekend of excitement! 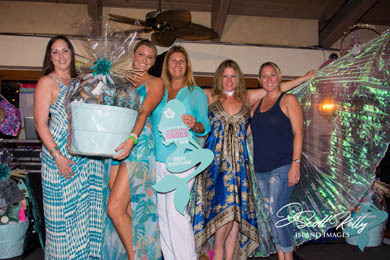 Team RGF won the prize for Best Costume! The tournament wrapped up with a firework display. 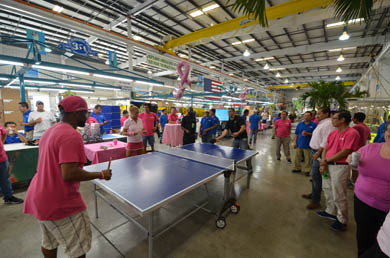 RGF® hosted a "Pink Pong" tournament for employees with proceeds going to the American Cancer Society's Real Men Wear Pink of Palm Beach campaign! 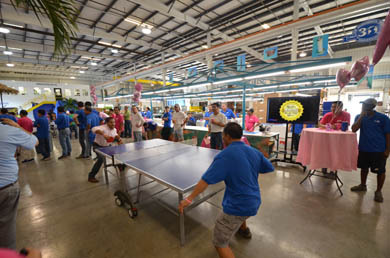 Employees dressed in their best pink ping pong outfits, ate pizza, and enjoyed an afternoon of competition in RGF®'s manufacturing plant. 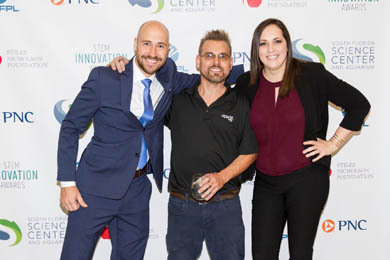 Prizes were also raffled off including; a covered parking spot, a cooler, luggage, and even coffee for a week delivered by our very own RMWP candidate, Tony Julian, VP of Business Development. 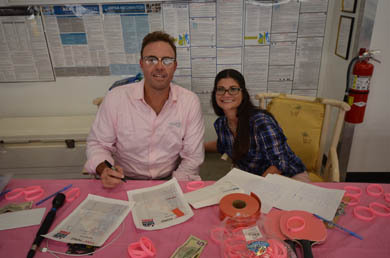 RGF®’s Baywatch girls safeguard our Grand Cayman office and graphics shop! 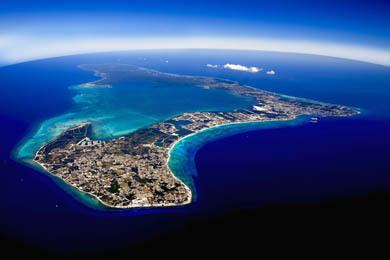 The Cayman office provides Caribbean Sales and Services & Worldwide Tradeshow Displays. AFL shipped these five stainless steel Oil Stop Valves (OSV) to GE Argentina for our valued distributor Pennvint. 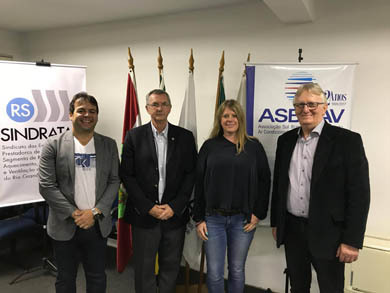 RGF®’s International Sales Manager, Astrid von Oetinger, joined Fernando Abreu, Marco Dilelio and Ricardo Cherem of Dannenge to sponsor and present RGF’s air purification systems to the HVAC community in Brazil at this year’s Mercofrio Congress hosted by ASBRAV. 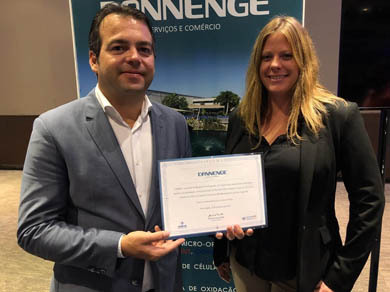 The RGF®/Dannenge Team presented a successful seminar on the rising importance of Indoor Air Quality (IAQ) in Brazil and the efficacy of hydroperoxides in air purification. 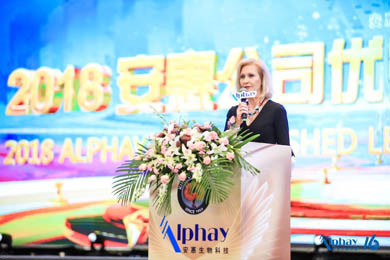 Sharon Rinehimer, RGF®'s Executive Vice President, was invited to speak at Alphay's Annual Conference in Nantong, China. 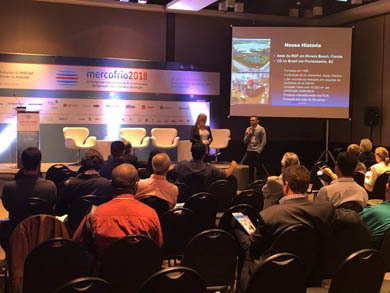 Ms. Rinehimer spoke to 24,000+ dealers about the success of RGF®'s Vela Aire, the strong relationship with our distribution partner and the hard work of our China sales and marketing team. 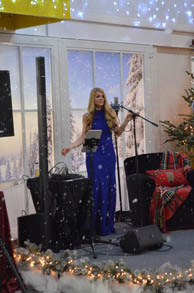 She also announced the continual development of our next line of air purification products for the IAQ market in China. 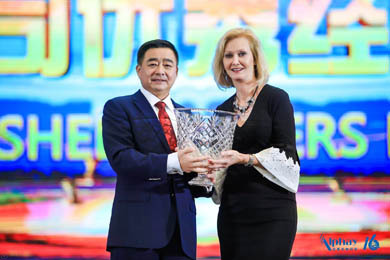 On behalf of RGF®, Ms. Rinehimer presented Chairman Chen and the Alphay Team with the Top Global Distribution Partner Award for 2018. We value and celebrate our 8 years of commitment and collaboration between RGF® and Alphay. 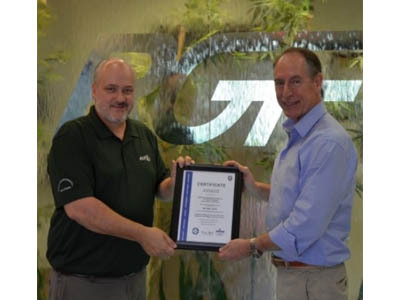 We continued our commitment to quality manufacturing with the renewal of our certification to the internationally recognized quality standard ISO 9001:2015. 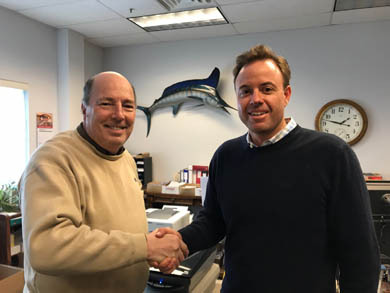 The implementation of this comprehensive quality management system demonstrates a passionate commitment to our loyal customers, and sets RGF even further ahead of our competitors! 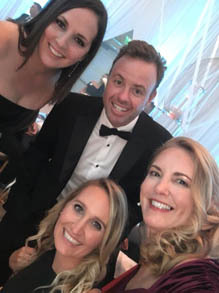 RGF®'s Amanda Jasper, Tony Julian, Devon Julian, and Lisa Bailey attended the Habitat for Humanity of Palm Beach County's Fire & Ice Gala at The Breakers Palm Beach. RGF has a longstanding partnership with Habitat for Humanity with our Halos for Homes™ initiative in which RGF donates a portion of sales from our most popular indoor air quality (IAQ) products as well as a REME HALO® for each new home that is built. 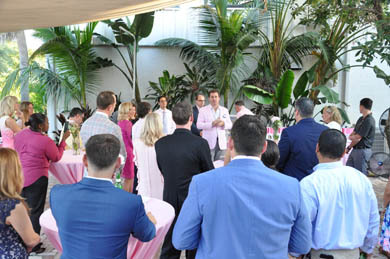 The team was inspired listening to Emily Luna's touching heartfelt message of hope as one of the homeowners who has benefited from Habitat's mission of serving Palm Beach County’s families in need of affordable housing. 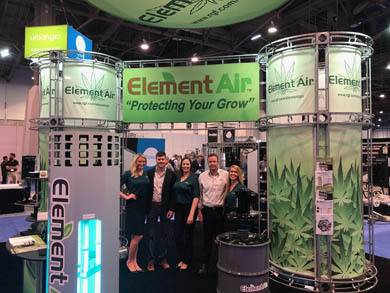 Element Air™, a division of RGF Environmental Group, exhibited at MJBizCon in Las Vegas, educating cannabis cultivators on how they can protect their grows from mold and mildew while reducing odor within, and outside the grow. 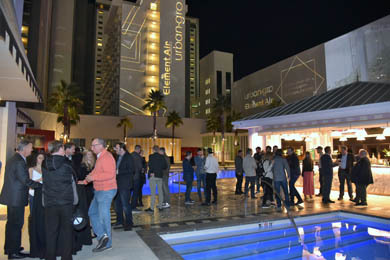 Element Air and Urban-gro teamed up to host the MJBizCon Cultivator Networking Event at the Foxtail SLS Las Vegas! 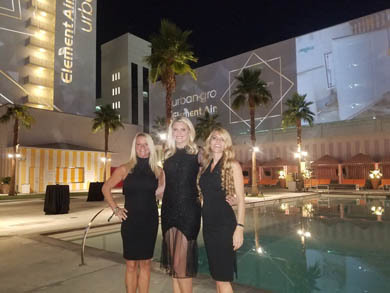 The event was a great success, bringing together the leaders of the cannabis industry for an exciting evening of mingling and business development! The Big 5 HVACR Expo. 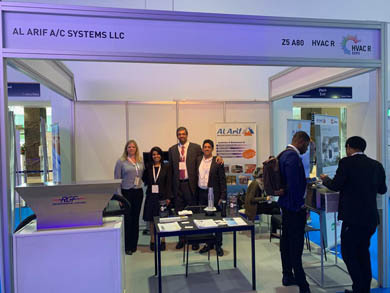 RGF®’s International Sales Manager, Astrid von Oetinger, traveled to the UAE to exhibit at the show along with RGF®'s valued distributor Al Arif. 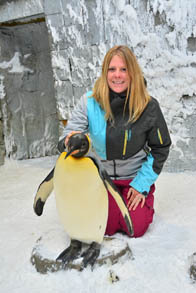 RGF®’s air purification technology has been implemented in many unique applications around the world, however one of our favorite stories is that of the Penguin Encounter at Ski Dubai. 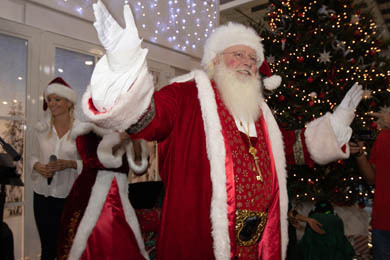 Ski Dubai is an indoor winter wonderland and ski resort located in Dubai, U.A.E., which also houses a number of Gentoo and King penguins. 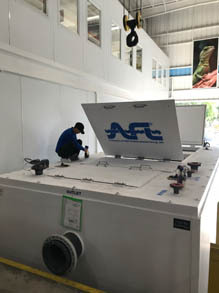 To make sure their 23 penguins are breathing the best air possible, RGF®’s award winning PHI air purification technology was installed throughout the enclosure by our distribution and installation partner Al Arif Air Conditioning Systems LLC. 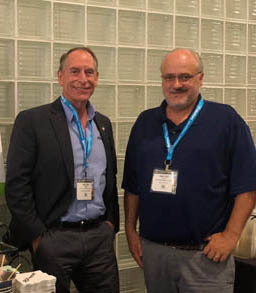 Another successful HARDI Conference this past week in Austin, TX! 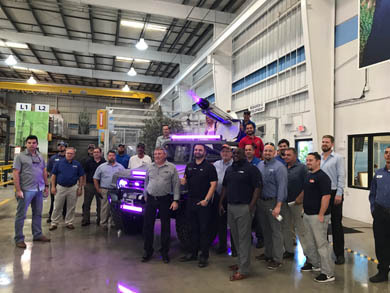 It was great to see our valued reps from Pro-Dev, Moore Sales Corporation, Build Products, Rottiers Sales, Danko Mechanical Sales, and The Partners Group. 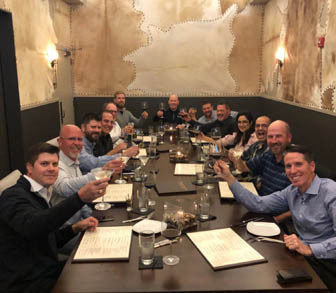 After the show, the whole team celebrated with a Texas steakhouse dinner! 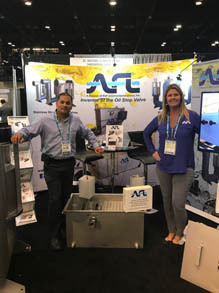 Romulo Laureano, Trish Alfele, and Robin Broderick were at POWER-GEN International exhibiting AFL’s high quality Oil Water Separators, Oil Stop Valves, Safety Oil Sumps and Rotary Pipe Skimmers. 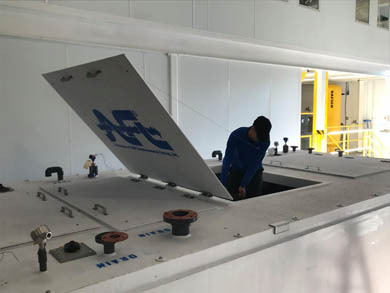 Expanding on AFL’s pollution control product line, the new Spill Stop Drain™ was released and the first set of units shipped to a valued customer. The Spill Stop Drain™ is a simple, reliable spill containment system that offers customers protection against accidental chemical and oil spills around stormwater drains. 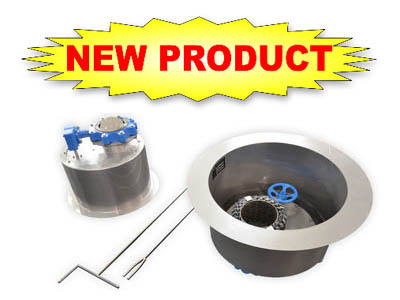 The stainless steel drain insert is quickly and easily installed into any facility’s drainage system giving the customer the unique ability to control stormwater flow from the facility to the environment without any mechanical or electrical alterations. RGF-BioControls™ helped clean the air inside a premiere, national museum with a customized Isoport™ (modular isolation enclosure). Workers involved with priceless artifact remediation were being exposed to airborne particulates, mold spores and other harmful pollutants. 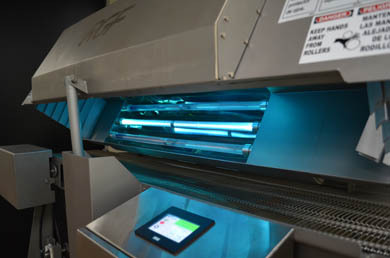 To ensure the safety of the museum staff, BioControls™ designed and custom fabricated a 3-chamber isolation enclosure complete with REME/PHI and automated HEPA supply and exhaust air. 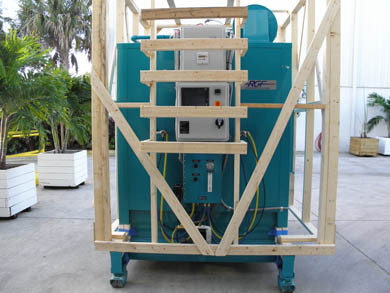 RGF® Thermo Oxidizer was shipped to Sun Hydraulics in Sarasota, FL. 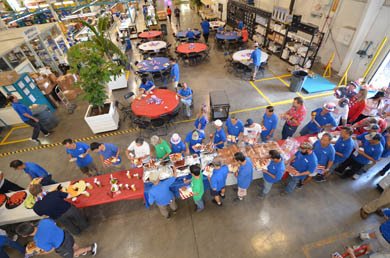 This facility manufactures components for the fluid power industry. 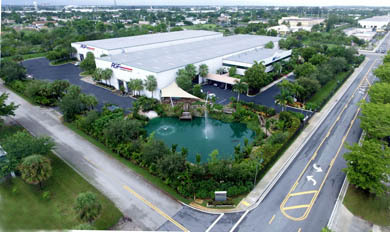 RGF®'s patented TOs offer a unique method of liquid waste destruction. 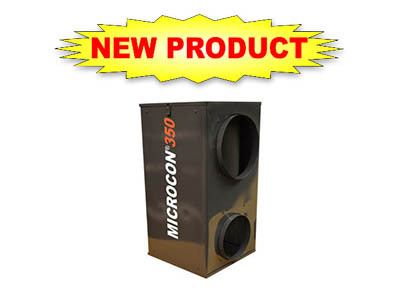 The unit eliminates the typical evaporator problems of corrosion, foaming, residual slurry, V.O.C. emissions, and difficult to clean evaporator chambers. 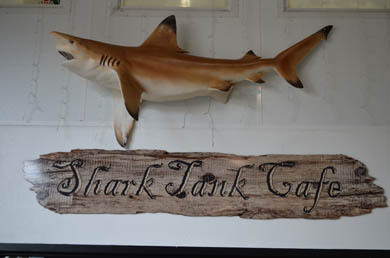 RGF® opened Shark Tank Cafe which is available for all employees to enjoy for breakfast, lunch, breaks, dinner, and parties! 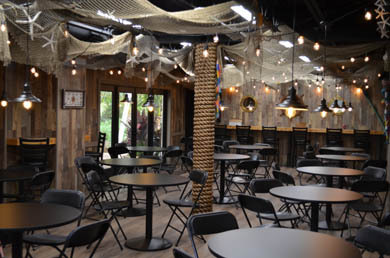 The cafe boasts an old Key West fishing port theme, complete with netting, sea shells, ship’s wheel, and other shipwreck artifacts. Porthole doors lead into the cafeteria and glass double doors open into Envisionland where there is a deck overlooking the lake. 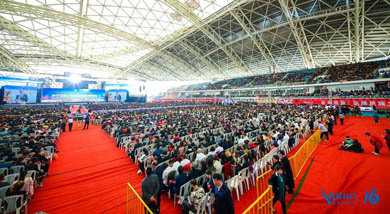 There is combined seating for over 100 RGF Rangers. 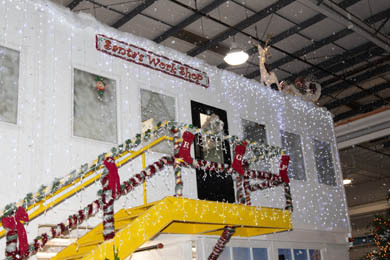 The construction was completed by our multi-talented in-house welders and craftsmen. 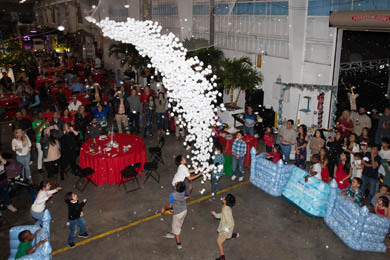 We celebrated our annual Christmas party for staff, families, and friends at our headquarters in Riviera Beach, Florida! 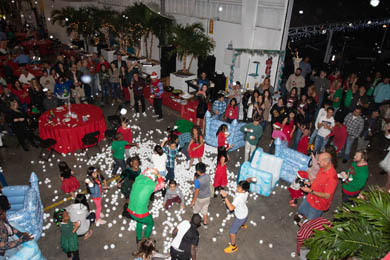 It was a 'Tropical Snow Storm' with more than 2000 cotton snowballs falling from the ceiling for a snowball fight! Kids played in the bounce house from Jupiter Bounce. 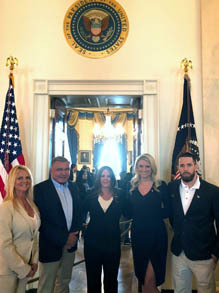 We had performances by Sara Rauch of Source Faucet and Dawn Marie who has performed for President Trump at Mar-a-Lago. 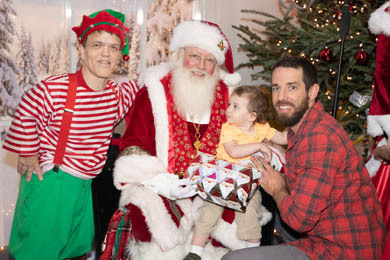 Santa, Mrs. Claus, and their elf even stopped by to give a gift to each of the 150 children! This year Canada became the second country to legalize cannabis for recreational use. 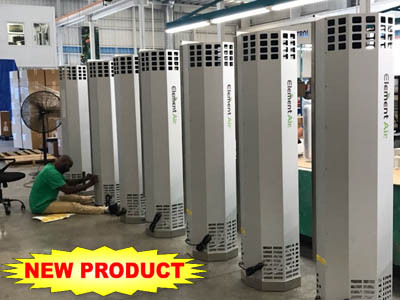 We increased production and shipping on our Element Air Towers to meet the demand of the growing cannabis industry. 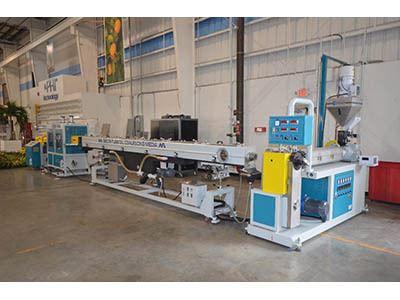 We purchased a new custom made RGF® Extruder to fabricate our new AFL Delta-Tube™ Oil Coalescing Media. 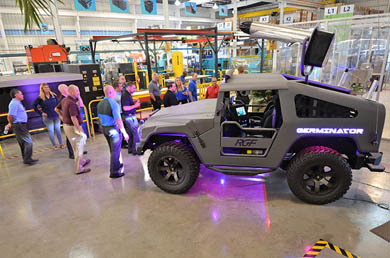 This signifies further progress for manufacturing to become completely vertical! 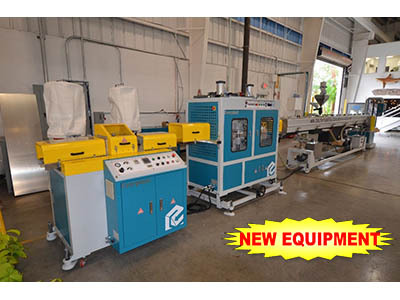 The machine requires 24/7 operation so we will be adding a third shift for production. 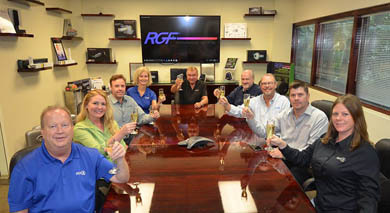 As we go into the New Year, we raise our glasses to toast our loyal customers, hardworking partners and RGF® staff! We wish you a happy, healthy, and prosperous New Year 2019!